ALEX Toys Craft Foam Crafters Ultimate Set Just $12 Down From $35! You are here: Home / Great Deals / Amazon Deals / ALEX Toys Craft Foam Crafters Ultimate Set Just $12 Down From $35! Here’s a fun Amazon deal. 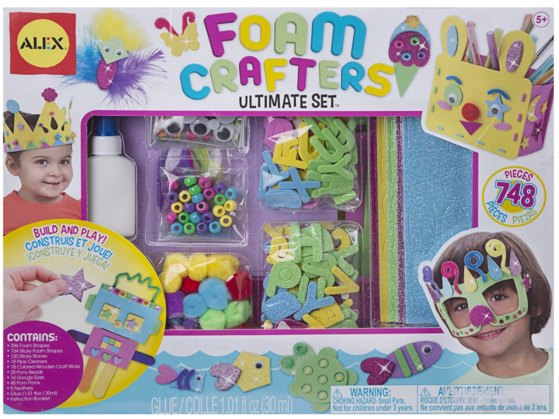 The ALEX Toys Craft Foam Crafters Ultimate Set for just $12 down from $35! Get yours now while it lasts! Includes (396) non-sticky foam shapes, (104) sticky foam shapes, (12) sticky stones, pipe cleaners, craft sticks and more!